These are the people that make it all happen! 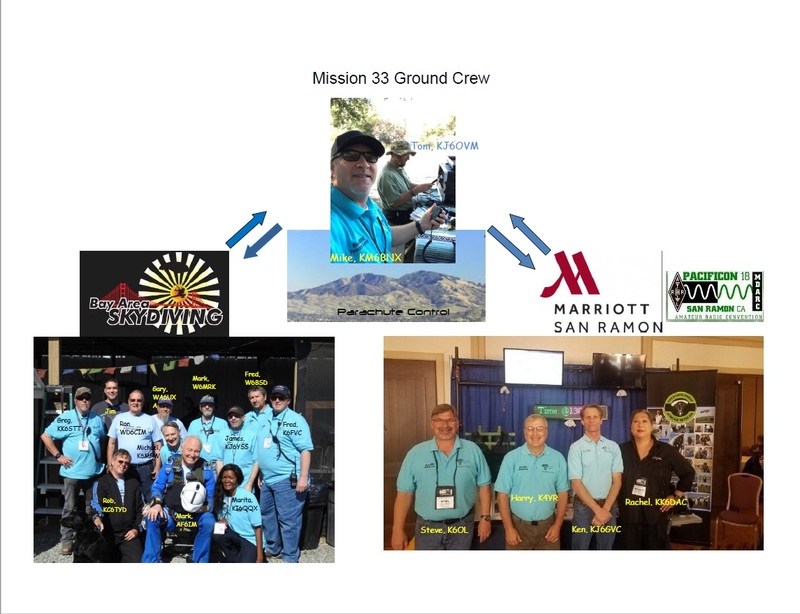 Thanks to all that participated in Mission 33. We were able to get 4 jumps in making it a very busy day! We had a total of 3 skydiver, 11 Ground Crew, 2 at Parachute Control, and 4 at Pacificon. Wow! Takes a lot of work to make this happen. Thank you to all our Parachute Mobile volunteers. Mission 33 breaks a QSO record: over 100 of them! 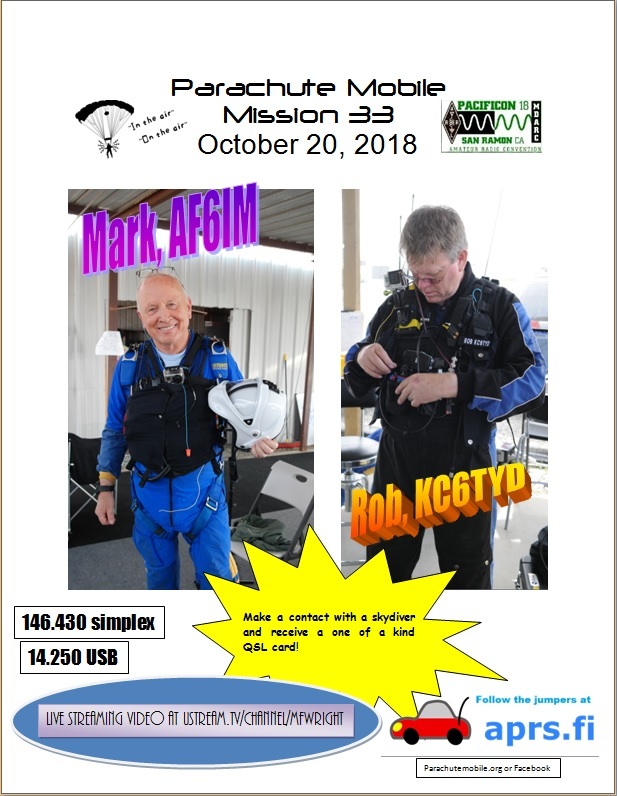 Please remember to email us at skydivinghams@gmail.com if you made a contact with a skydivers so we can make sure to send you a QSL card. Unless otherwise stated all cards will be sent to the address as listed on QRZ.com. For all those that completed a contact card at the Pacifcon GOTA station, then you’re good. Parachute Mobile will be taking a much needed break. We’ll be back Spring of 2019. We will still continue to make post here as well as on Facebook, so come back often to see what’s happening.